Ever felt embarrassed to wear shorts because of unsightly purple or blue varicose leg veins? It’s not unusual for me to see a patient, usually (actually almost always) a woman, complaining of unsightly or uncomfortable leg veins expressing guilt for coming to the doctor with their problem. Why is this? Perhaps it’s the perception that problem veins are trivial and therefore not worthy of a “real” medical visit, or maybe it’s the fact vein problems are so commonplace that they are deemed, by some, to be a normal variant of the human condition. Sometimes it’s a simple failure to understand the significance of abnormal veins and how they can negatively impact health. Some patients are under the impression their problem can’t be fixed. Whatever the reason, it seems the poor little vein, and those who carry an abundance of them on their legs, don’t get the respect they deserve. 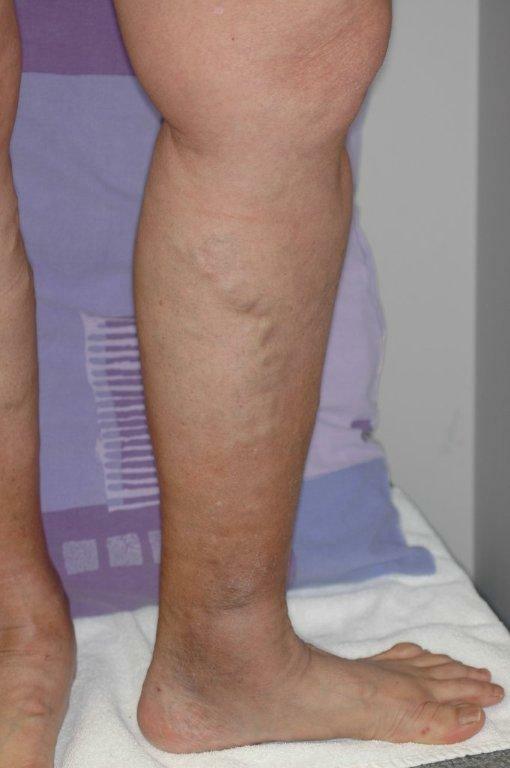 The term varicose means abnormally swollen or dilated and is used almost exclusively to describe veins. Varicose veins usually occur because one or more of the valves inside the vein, whose job it is to direct blood toward the heart, have failed. 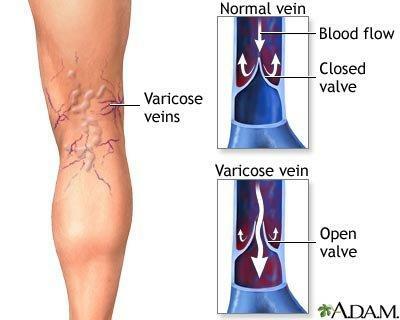 In the case of leg veins, a “blown valve” usually results in the abnormal flow of venous blood back towards the feet. As a result, the veins swell, become tortuous and are often uncomfortable. If small veins are involved they are termed spider veins, if larger veins are involved, they achieve the designation varicose veins. The cut-off between a spider vein and a varicose vein is arbitrary however, and both can cause problems with the legs, not to mention the embarrassing appearance. Apart from the cosmetic appearance, varicose veins (and sometimes even spider veins) can cause swelling, aching, burning, itching, throbbing and restless legs. Varicose and spider veins can also lead to leg ulceration. 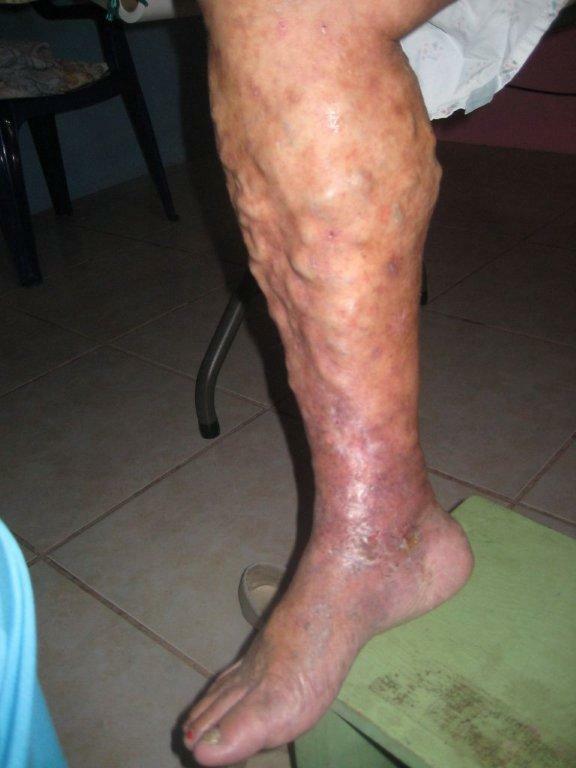 Fully 80% of all leg ulcers are caused by vein disease. In most cases, it is the larger varicose veins that result in severe symptoms and ulceration, but smaller varicose veins and spider veins can cause their fair share of grief as well. On more than one occasion, I have seen patients who have had repeated and frightening bleeding occur from small veins around the ankle after they are bumped or nicked. Varicose veins also predispose to phlebitis (where a superficial vein becomes inflamed, red and painful) and, in some cases, even blood clots. A physician experienced in vein diagnosis and treatment should assess vein disease. The assessment should include a detailed history of the condition and examination that includes an ultrasound assessment of the involved veins. Only then can the root cause of the problem be determined and an appropriate treatment plan developed. When it comes to treating abnormal veins there are usually four treatment options: no treatment (OK, that’s not really a treatment, but sometimes it is the best route to take), injection sclerotherapy (this involves injecting veins with a medication and is appropriate for smaller veins), endovenous laser ablation (this involves inserting a catheter and laser fiber inside a vein) and surgery. Often, a combination of these treatments will give the best results. In most cases a compression stocking or sock will provide significant benefits as well. Having abnormal leg veins properly diagnosed and treated is important to maintaining the health of your legs and circulation. Even if you suffer with “just” spider veins, it is reasonable to have them properly assessed and treated. There is no reason to feel guilty or reluctant to do so. 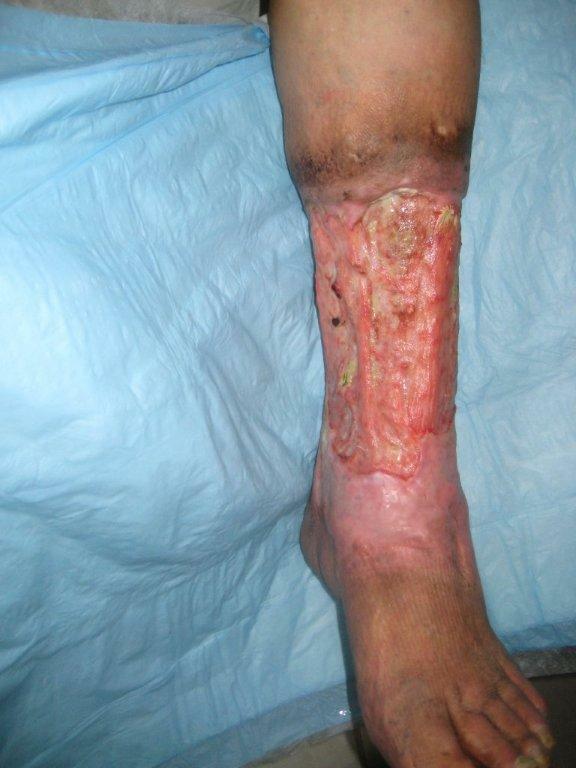 This entry was posted in Uncategorized and tagged complications of vein disease, treatment of vein disease, varicose veins by April Sanders. Bookmark the permalink. What a contrast between the “beautiful” legs of the model and the real life disease of Hondurans.